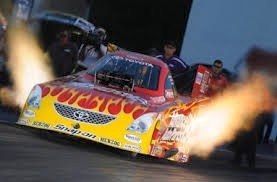 Mainstream economists and financial experts warned us early in 2014 to stay way from bonds because the Fed would raise interest rates and as everyone knows rising interest rates shoot buckshot-sized holes in bond portfolios. So most people avoided bonds and piled into stocks. 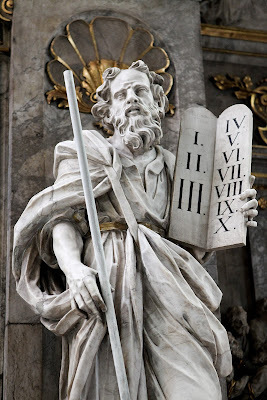 Now we can look back and see that conventional wisdom was wrong; the Fed did not raise interest rates; inflation remained tame; and bonds returned about twice the money as stocks. Now the mainstream has dusted off its forecast of rising rates and is trying again. Surely this is the year the Fed will raise rates and kill bonds. After all, the Fed has always raised rates at some point in an expansion. How can it not raise them in this one? Sometimes, however, things really are different. One difference is the lack of inflation. Since WWII, the Fed has responded to rising consumer price inflation by raising rates. Today, the nightmare waking sweaty central bankers in the middle of the night worldwide is deflation. Europe’s rate of inflation barely floats above zero while that in the US is just north of one percent. The Wall Street Journal’s Justin Lahart predicted in the December 18 “Heard on the Street” column that the US CPI could go negative by the middle of 2015 if current trends continue. One of the reasons for the lack of inflation has been the collapse in velocity, calculated as the nominal GDP/M2 ratio. 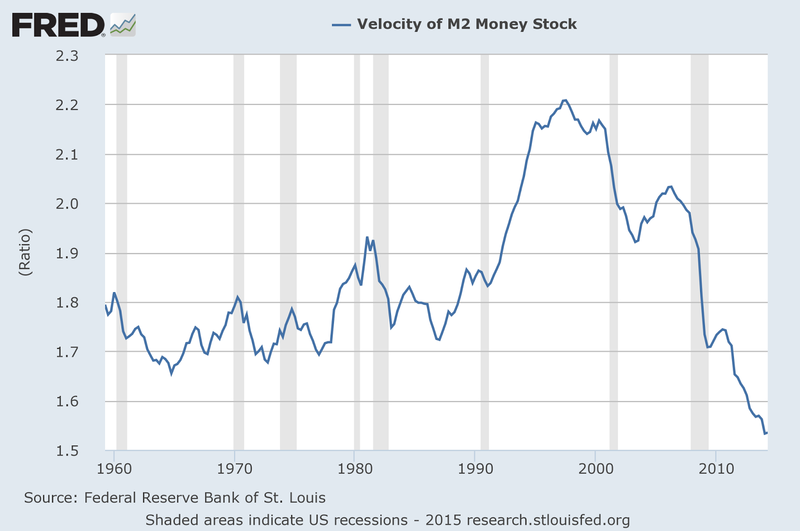 Essentially, velocity explains changes in GDP that the money supply doesn't. Velocity increases when people spend money as fast as they get it, and slows when they want to hold on to cash. As the FRED graph shows, velocity has never been lower than today since 1960. Consumers are paying down debt while businesses sit on mountains of cash. 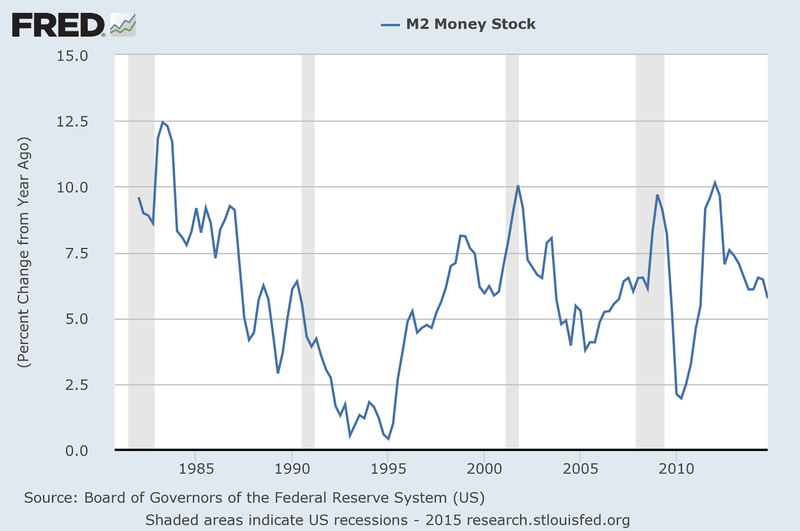 At the same time, money supply growth has slowed sharply as the next FRED graph shows. Consumers are paying down debt and holding cash because 1) they fear the future; 2) they haven’t been able to save enough to rebuild wealth lost in the latest crisis because the Fed has kept interest rates too low. Businesses aren't investing because of 1) high taxes, 2) draconian regulation and 3) the flood of new regulations coming from D.C. makes planning impossible. Companies that don’t have cash and would borrow to invest can’t get the loans because vicious banking and financial regulation had dried up funding. The Basel accords governing banking reward banks for lending to bankrupt states and for mortgages while punishing them for lending to businesses. Companies will often go around banks and get funding from the "shadow" banking system but Congress has done all it could with the latest finance reform bill to destroy that avenue. The present looks like the 1970's with a major exception. The fruits of the massive anti-business regulations from the FDR era had rotted into stagflation (high inflation with a stagnant economy) by the 1970's. However, the 70's experienced high inflation because of massive government spending on the Vietnam War and for Johnson's Great Society welfare spending. Today the US government has too much debt and deficit to spend as it did then. Also, that was the decade that destroyed confidence in the Phillips Curve, the idea that greater inflation could produce higher employment, and broke the stranglehold of Keynesian economics. Without a massive increase in state spending, consumer price inflation will not rise as it did in the 1970's. Our future will be like that of Japan for the past two decades - very low interest rates, high government debt, low inflation and low levels of growth. In addition, the US is likely to experience another recession in 2015. So instead of looking for a rate increase this year, I expect another round of QE to try to resuscitate the collapsing economy. That means the best places to invest this year will probably be bonds and emerging markets.